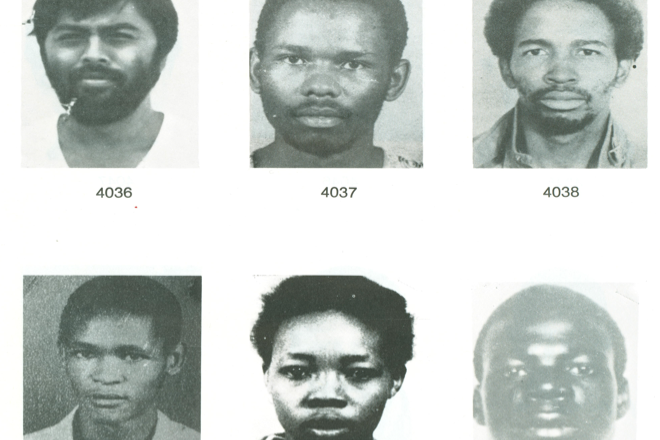 Framing dissidence: Apartheid and its enemies, 1960-1990 is about the history of an object called the Terrorist album by the South African Security Police. The book tells the story of how this particular collection of mug shots came about and why, how it was used and by whom, how it acted in the world, and how it came to be called the Terrorist album. The book also tells the story of how, by looking at the album after the end of apartheid, the individuals whose portraits were frozen within its covers have opened it up to new interpretations and meanings. The book uses the album and associated objects (confidential police correspondence, informer reports, photographs, secret memoranda) to examine the history of apartheid violence. It does not treat the album simply as evidence of history but as an artifact-an object with a social life-whose own history is worthy of examination. By recounting the history of apartheid violence through objects, Framing dissidence does not minimize the effects of that violence or spread moral and political culpability for it so widely that even objects stand accused. As philosopher Hannah Arendt says, when all are guilty, no one is. When everything is guilty, nothing is.